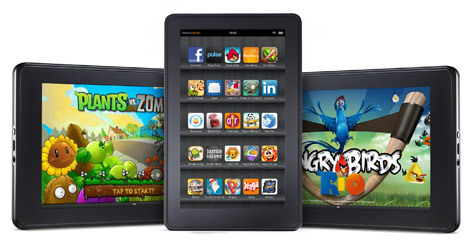 Today, Amazon announced the long awaited Kindle Fire, a new tablet based on the Android mobile operating system. While the announcement was expected, the aggressive price has caught many by surprise. $199 for an Android-based tablet makes it the most aggressively priced tablet on the market. But is that the right price? Let’s take a closer look! The entire tablet market should be grateful to HP for having recently conducted the largest price elasticity of demand (PED) test ever. If you remember, HP launched their TouchPad with the base price of $499.99. They reportedly manufactured 270,000 of the TouchPads, but after several months of trying, they had sold less then 10% of their inventory (25,000). After pulling the plug on the device, they sold the remaining inventory within hours for $99 a piece. Being a marketer (and a techno geek), I actually tried to compute the price elasticity of demand for the TouchPad, coming up - as expected - with a high negative number. I got -549, but it’s been many years since business school (note: yes Professor, I have simplified my case by ignoring any substitutes, necessity factor, purchase power, brand loyalty, blah, blah, blah...doesn’t matter in this case). That low of a number means that the price is highly elastic which in turn means that buyers strongly respond to price changes. Duh. It also means that to optimize revenue (or better to grab as much market share as possible), you have to price the product near its marginal cost. Again, not a surprise - you make something and you want to sell as much of it as possible, you keep the price as low as possible to the cost of making it. Duh. The cost of making the iPad is approximately $229 and we have to assume that Amazon could be in the same range. They can probably sell similar volumes as Apple has and thus have a similar negotiating power with their suppliers. The Kindle Fire might be a tad cheaper to manufacture with less memory and a smaller size. That suggests that at $199, Amazon is pricing the device at or just below cost - as my little price elasticity test suggests. BTW, if you dismiss my simple price elasticity calculation and instead want to believe the efficient markets theory, you should remember that the discounted TouchPad was selling on eBay for $250. That seams to be the optimal price point at which the demand and supply clear. Even if Amazon is losing $50 on each Kindle as the Piper Jaffray analyst Gene Munster suggests, it doesn’t matter. Amazon is not looking for any margin contribution from the Kindle Fire (or any Kindle). They are looking for market share and units sold - eyeballs. The margin comes from the content which Amazon can sell to the people who have their devices. This is also the reason why the other Android vendors such as Samsung, Acer, HTC, LG, Dell, etc cannot play this game. Even if they can match the cost of manufacturing their devices, which I doubt as their volumes are not anywhere near the millions of iPads Apple sold and the millions of Kindle Fires that Amazon is likely to sell, they still need the devices to generate positive margin contribution. They don’t have any content to sell to offset that. Apple, on the other hand, is sitting in the perfect spot today by getting margin contribution from both, the content and the devices. Beat that, … [everybody else]! The content is critical. The Nook by Barnes&Noble is a comparable reader to the Kindle Fire and it has been on the market for several months now, priced at $250. But since B&N doesn’t have anywhere near the reach of Amazon with its online store, the device hasn’t made a dent into the market shares. Amazon’s new Kindle Fire is no slam dunk but given the success of the original Kindle, we have to assume that they are now a serious player. This is particularly true given the aggressive price of the device with an entire content ecosystem under their control - anything from e-books, magazines, to music and movies. And so what will happen next? Amazon Kindle Fire is likely going to grab some significant market share in the tablet market. Apple may experience some pricing pressure but will still have the benefit of the Apple brand and user experience - the same brand that permits Apple to charge a premium on their iMac and MacBook computers. While the prices might come down a little, I wouldn’t expect any $199 iPads anytime soon. I was thinking about this as well, and the ultra-low price seemed like the only strategy (to me) that has a chance of competing with the ipad. I think it may, ironically, be a boon to Apple. Here's why. Android devices have feature parity with the Apple hardware, but more importantly Android OS has semblance of an application ecosystem... I don't think it's any where near the iPad/iPhone app store, but worthy enough to consider it a competitor. If you are going to consider an Android device, the $199 entry point is sure attractive and that's where I would expect a lot of money goes. What does this do to iPad sales? Arguably removes some demand as people select the "good enough tablet" (but is it the one you really want?). Worse, it cannibalizes all of the other Android tablet sales! Now it's Samsung vs Amazon vs Google (Motorola), not "All of Us against Apple" (formerly AoUaMS). And what if the price is too cheap - the hardware is so inferior that it turns people off Android! This could ultimately have a negative impact on Android devices... maybe not highly likely, but still a possibility. how did you reach at price elasticity of -549?